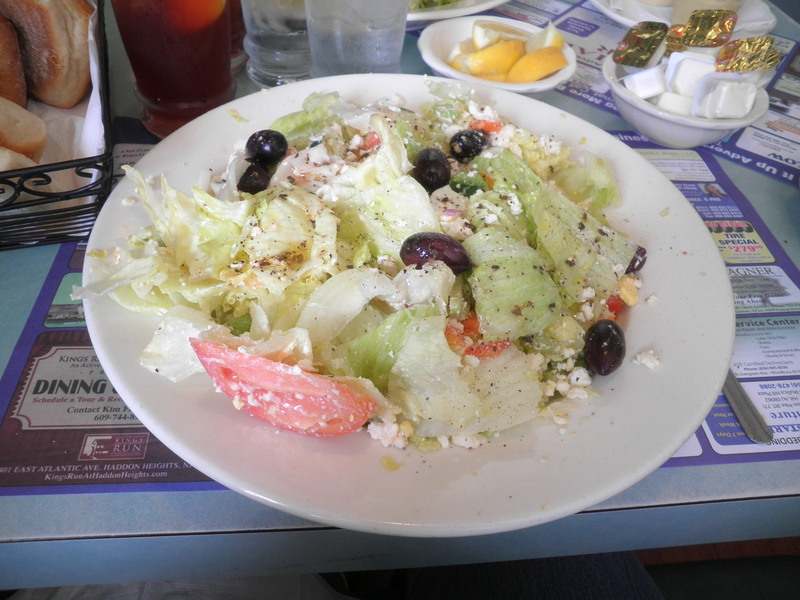 wow, your Greek salad looked incredible! Mine looked like it came through the shredder (and not in a good way!!!) I had to search for the olives, I think there might have been eggs but they were chopped so finely that I can’t be sure, no tomatoes, way too much dressing and no feta cheese! Yuck. That place is getting worse and worse and don’t even get me started on the service. I don’t think you should have to wait 45 minutes for cold food. Sorry about that. We were there during the day and it was pretty slow. That could be why. 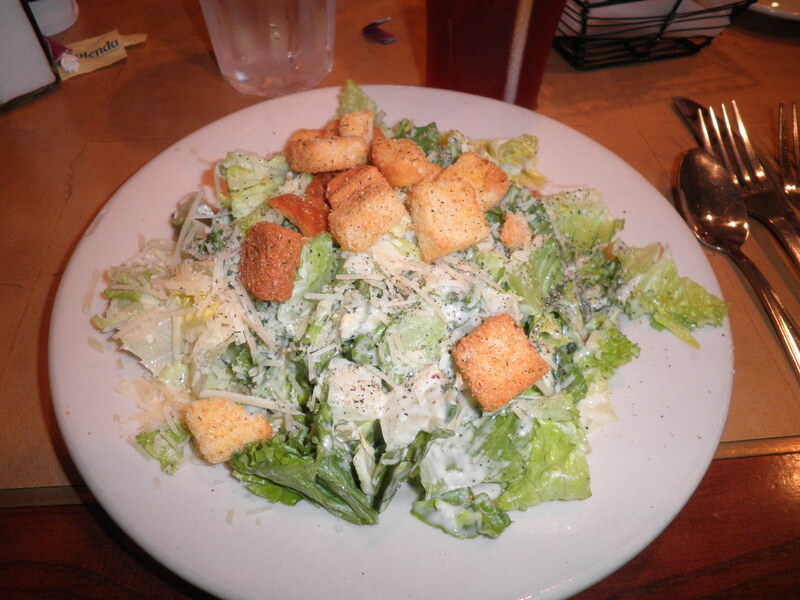 One trick is to ask for the dressing on the side…it makes all the difference. Mine was really good! You’re so sweet, Liz! That can be dangerous though. I need to find out how to count that because it’s delicious and I’d like to have it again. Have a great day!! 59 cents!! Wow, that’s awesome. Maybe you are cheap people, but I see that as a totally good thing. When I get older I am definitely going to be one of those people who uses coupons every time I go shopping. You are one of the only bloggers I think that actually admits to eating at fast food restaurants… At least out of those that I read, but I think most probably do and just don’t like showing it. Really it’s too bad because having to eat on the go is such a normal part of everyday life and finding healthier options while out and about is eating smart! Madison, Thanks for taking note of that. I really do think that some of the blogs I read are omitting things. I’m impressed that so many of them are eating so healthy, but then there’s real life too. Coupons or gift cards are the best. That’s why I believe in thrift stores…why pay more for things than you need to. Have a great day! I love this post because you are so real with your food. That’s what real life weight maintenance is all about – balancing your nutrition and your choices. You are such a great example of both. Thanks, Diane, that means a lot coming from you. I try to do what you do…give examples, suggestions and positive support to the readers. I keep trying! Have a great day! You got such a good deal on those salads! Gift cards to restaurants are such a great thing to have, and there’s no shame in having a cheap meal especially if you enjoyed it! Thanks, Ashley! I Love when I get restaurant gift cards as gifts. The food somehow tastes better! 😉 Have a great day! Thanks, Jennifer! 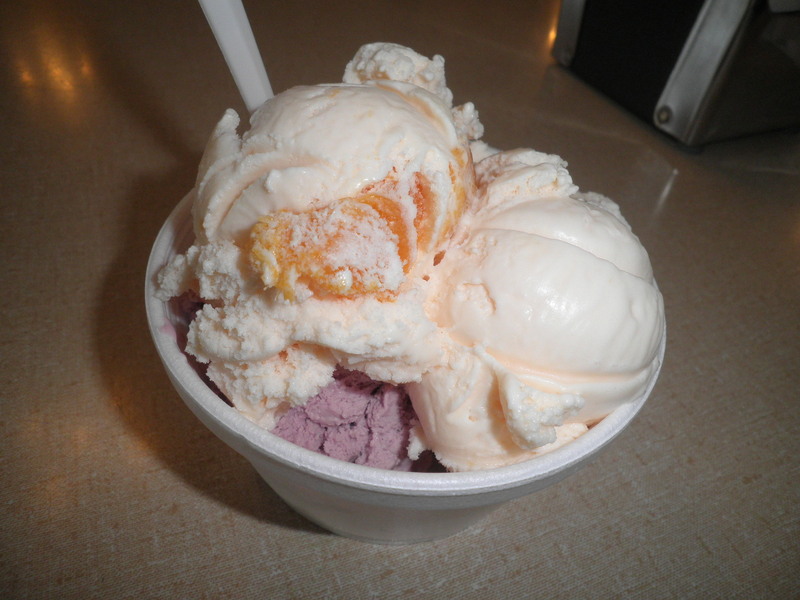 The local ice cream place is so good…very interesting flavors. I love iced coffee too. This was really good with the mint chocolate chip in it. Have a great day! That pasta looks great! I have zero self control with pasta so it’s usually the last thing I would order. 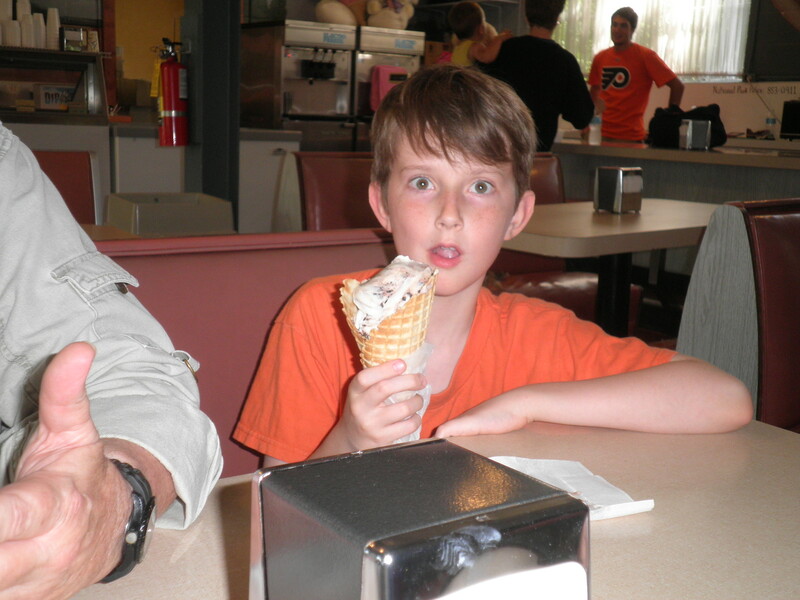 Way to go on only eating 1/3!!!!! Well, Jenn, it turned out to be my only meal for the day, split in two so I guess it wasn’t too bad! Those are some great meals lately! The salads look great and new veggie burgers are a fun surprise- i have a veg burger ontop of salad for a quick dinner often. 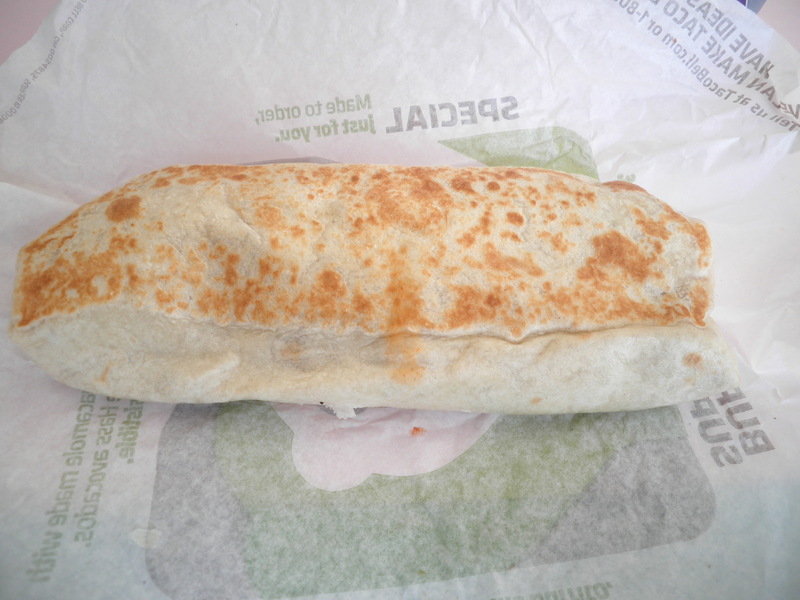 The bean burrito is a great choice when fast food is the only option- as close to “food” you can recognize. I like going to Taco Bell because I can get vegetarian choices without a problem and I can count it easily for WW. I love putting a veggie burger with salad. Very filling. Have a great day! 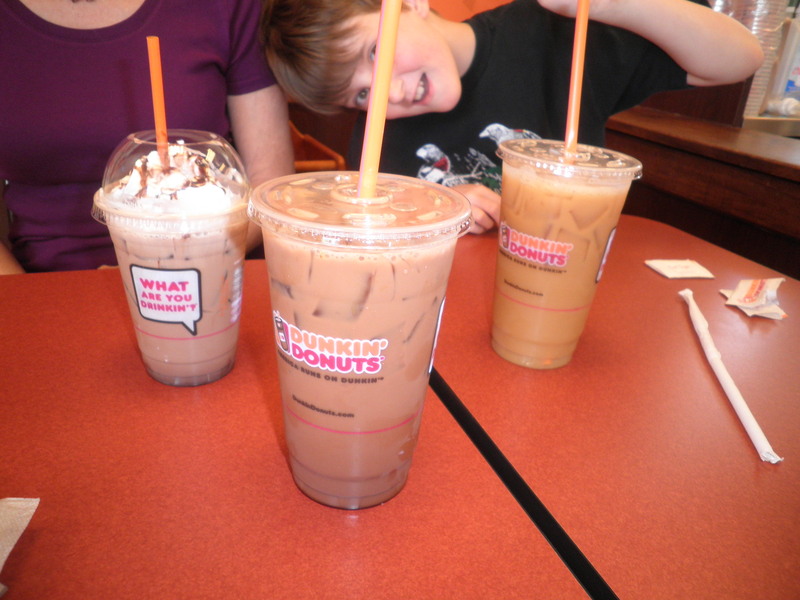 Dunkin donuts iced coffee and greek salads are two of my favorites! 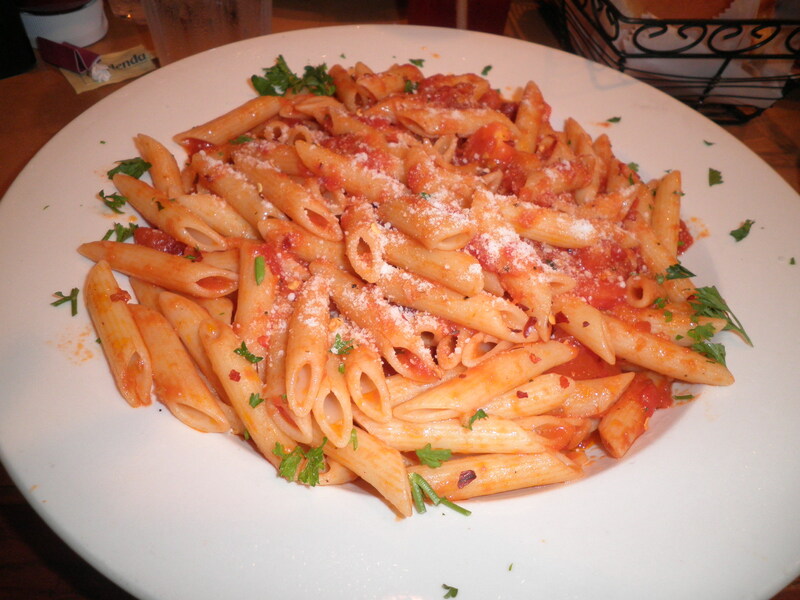 Not to mention that pasta looks incredible as well! Hi Kathryn, thanks for stopping by! DD is the best and I just Love Greek salads. The pasta was very good, but it had a little too much oil on it. Tasty never the less. Have a great day and please visit again! Have you asked the Wawa people where they get their bread? I bet they’d show you the bag! I do that all the time. It was a great salad, Laura. Funny thing is my sister was there a few days before, ordered the same thing and said it was awful. Hmmm…I really think whoever is cooking that day makes a difference. Great idea to ask WaWa about the bread…I’ll do it next time!! Thanks! I still want one of those veggie burgers! And definitely want all your cheap eats! I do great at home eating cheap, but never manage to find well-priced but still good stuff out. Allie, Ralph never cares what it costs, but I’m always looking. The diner where I get the veggie burger is extremely reasonable. In fact when we go in there on Saturdays it’s usually late in the day sort of lunch/dinner. The offer their early bird special and we get 20% off of their usually low prices…and it’s not just because we’re old!! 😉 Have a great day, Sweetie! Ughhh I told you I’d help! It really is simple. And then you can get back to your cutie pie of a camera. 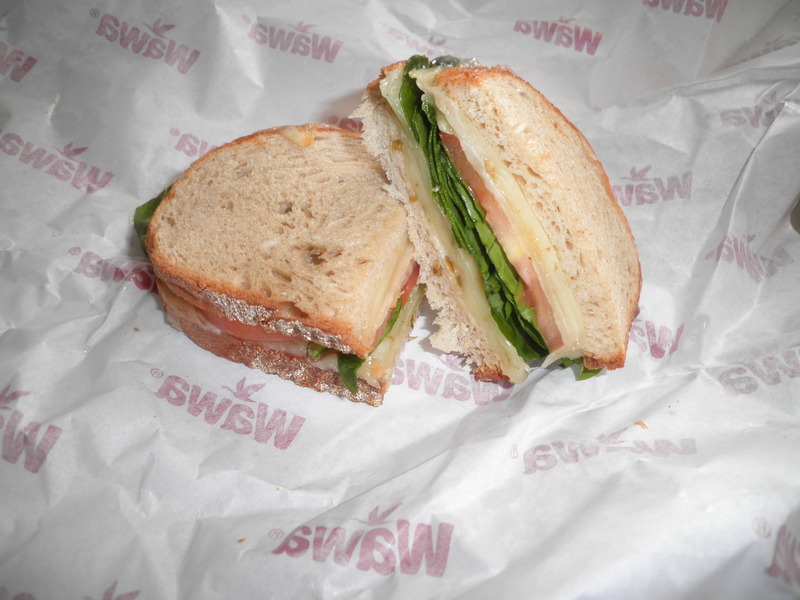 The wawa sandwich looks delicious! And where’d you get that veggie burger??? I love the green kind. I know that sounds weird. But thy’re so good. 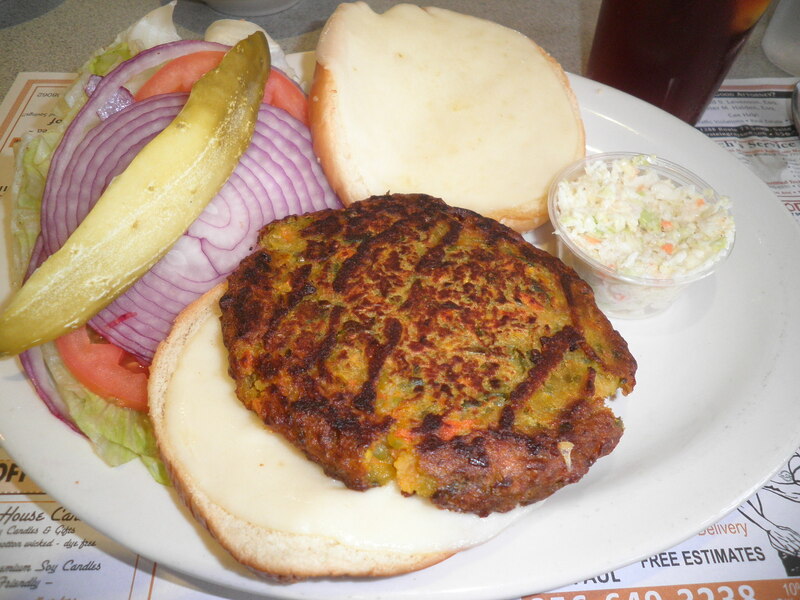 The veggie burger is from the Gateway Diner in Westville. Next time I’m going to see if they can do it on top of a salad for me. Just thought of that. Maybe some day next week we can do camera things? I’ll be in touch.